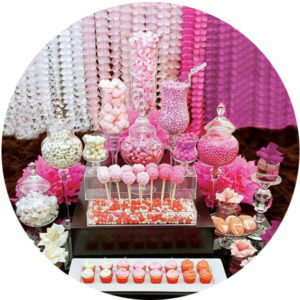 House Of BASH is a premier Atlanta candy buffet table, candy table, candy table designer in Atlanta for a baby shower candy buffet and wedding candy buffet ideas. Every table is custom designed to satisfy your sweet tooth and captivate your vision with a stunning presentation and attention to detail. From whimsical to elegant, an intimate soiree to a gala affair, we are dedicated to delivering the highest level of customized service, with quality second to none at event venues in Atlanta. 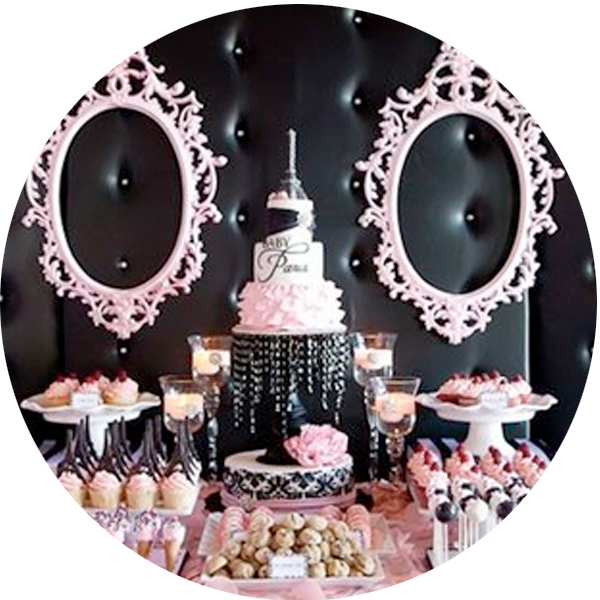 In addition to offering a wide assortment of candies, we partner with many of the most sought-after bakers, chocolatiers, and florists in Atlanta to bring you the ultimate event experience. Our designs can be the perfect custom addition to your birthdays, anniversaries, friends & family gatherings, holiday galas, corporate events, bat/bar mitzvahs, showers, and weddings. 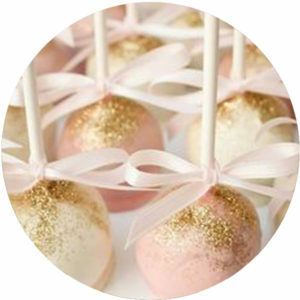 Allow House Of BASH to be your one stop for all things sweet. Includes: 5-6 different candy in 5-7 different apothecary containers and attractive color themed display. Includes: 6-7 different candy in 7-9 different apothecary containers and attractive color themed display. Includes: 7-8 difference candy in 9-11 different apothecary containers and attractive color them display. please refer to the list below to view our most commonly requested candies.